The Oscars are the biggest event in the US film industry. Last year more that 11 million people posts about the Hollywood's most watched night. 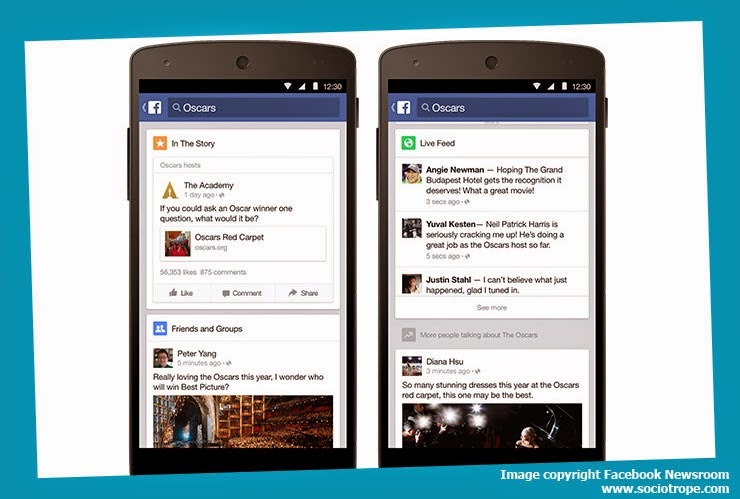 You can make a big Oscars experience with the new Trending page where you can see friends posts, real-time chat from users around the world, get the latest and the most shared photos and videos, view post from the major sources like the Academy, ABC, actors, directors, films and other public figures. Just join now and share your troughs. Note: Trending is currently available in English in select countries.